The blend of mango and watermelon brings a tropical taste to this refreshing drink. Combine 120ml of tea, 10ml of diluted lime powder, both syrups and powder into the blender. Blend with ice. In the serving glass, add 3 scoops of watermelon bits at base of glass. Add in the ice blended mix. 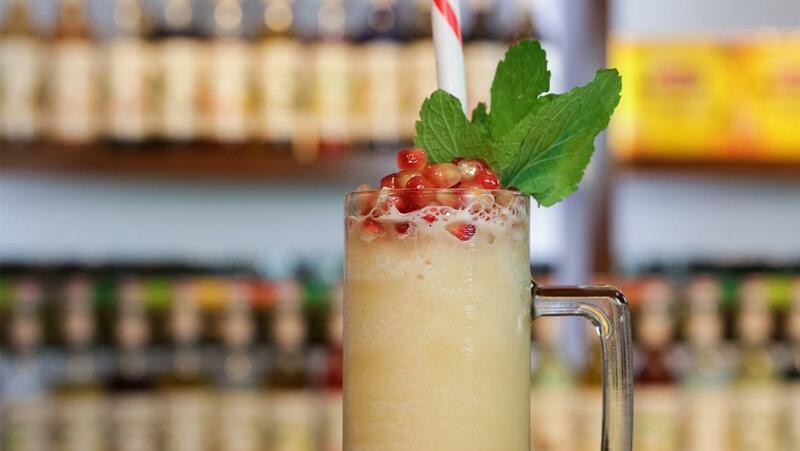 Top it up with 1 scoop of pomegranate and mint leaf.